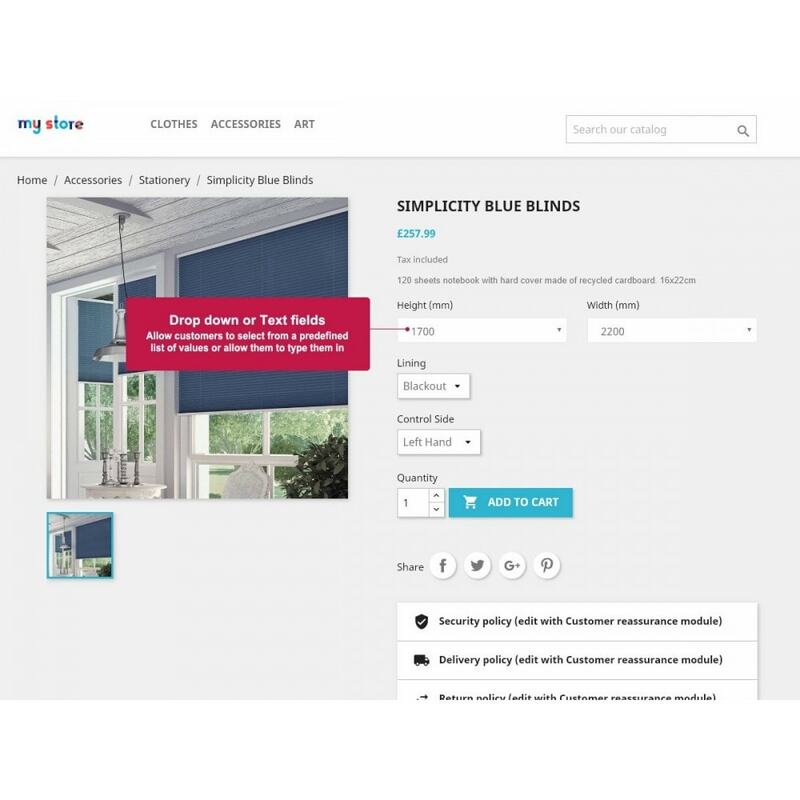 Allow your customers to purchase products they can customise by selecting or entering dimensions on the product page. 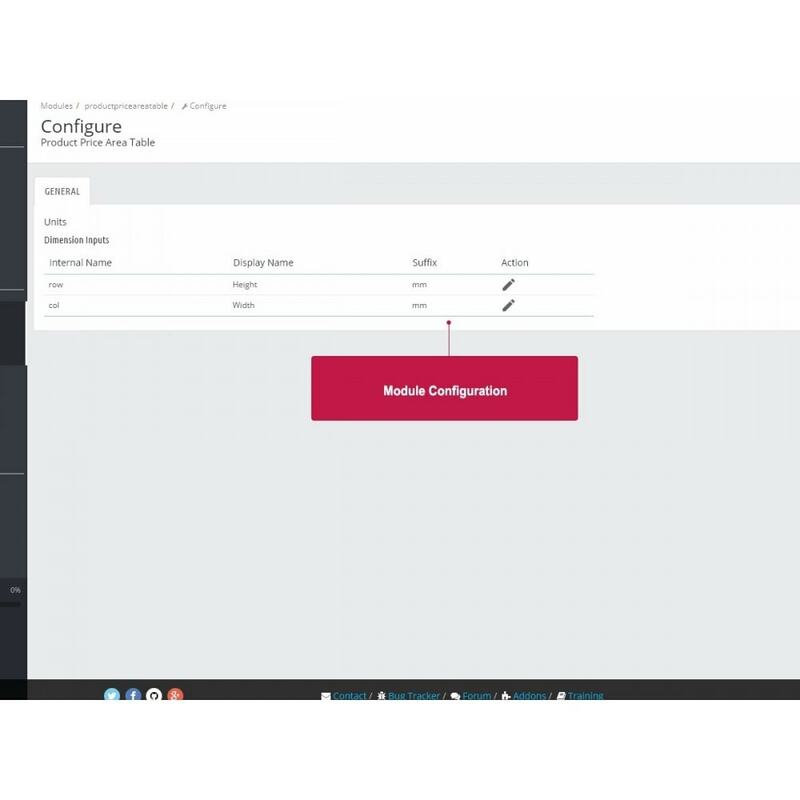 As a store admin this module allows you create and effortlessly manage area based price tables for individual products. 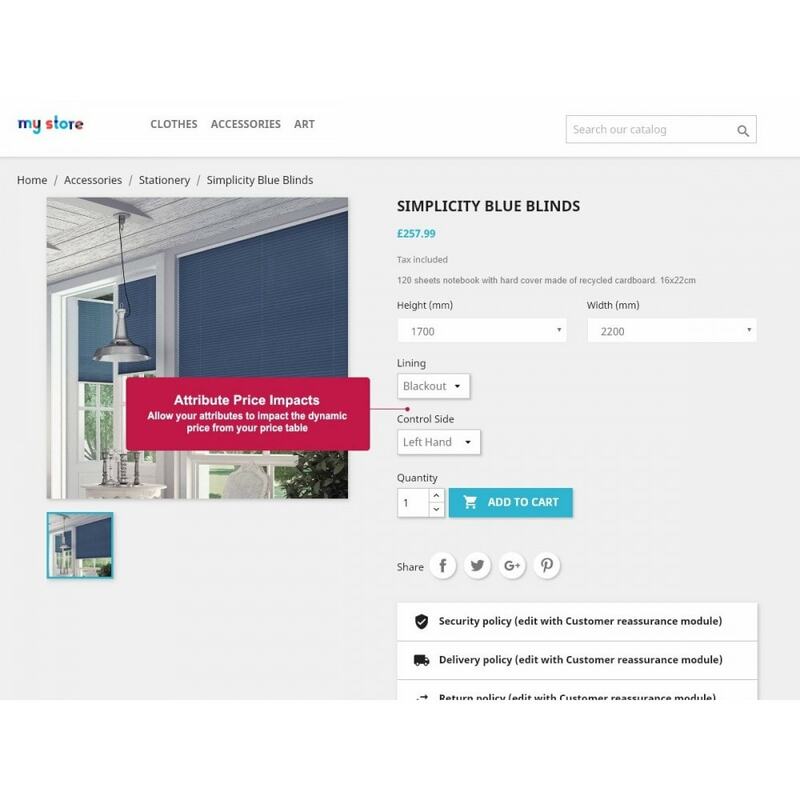 Useful for merchants selling products which are sold by area and have non linear variable prices which need to be managed by a price table or price matrix; such as merchants selling window blinds, timber, sheet materials etc. Sell your products by area and create variable prices which can be managed by a price / area table. 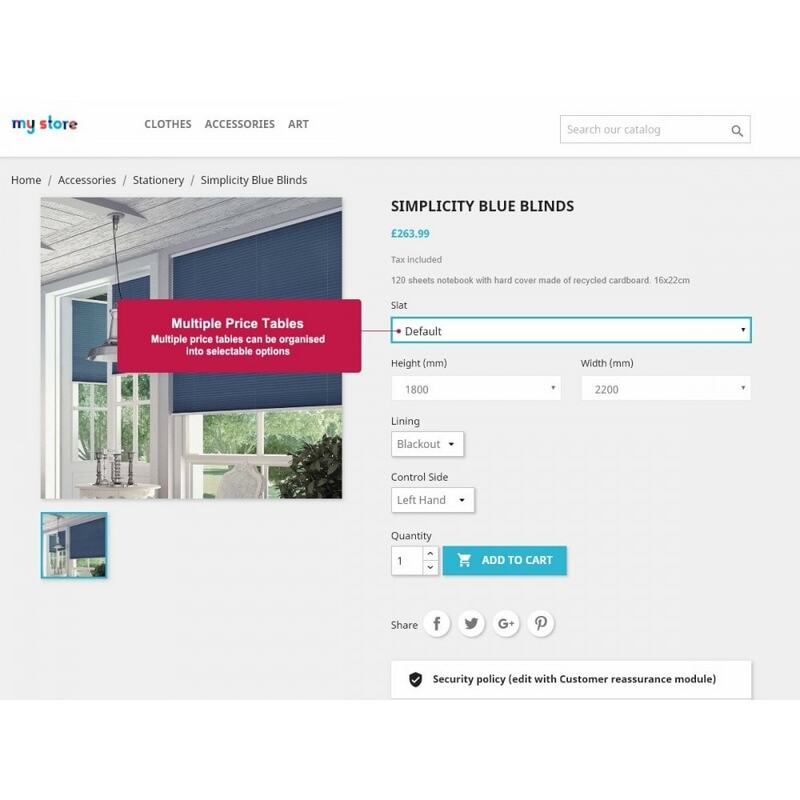 Customer can select dimensions on the product page, either via a select dropdown or by typing into textboxes. Price of Products added to the cart are based on the price tables you manage in the back office. 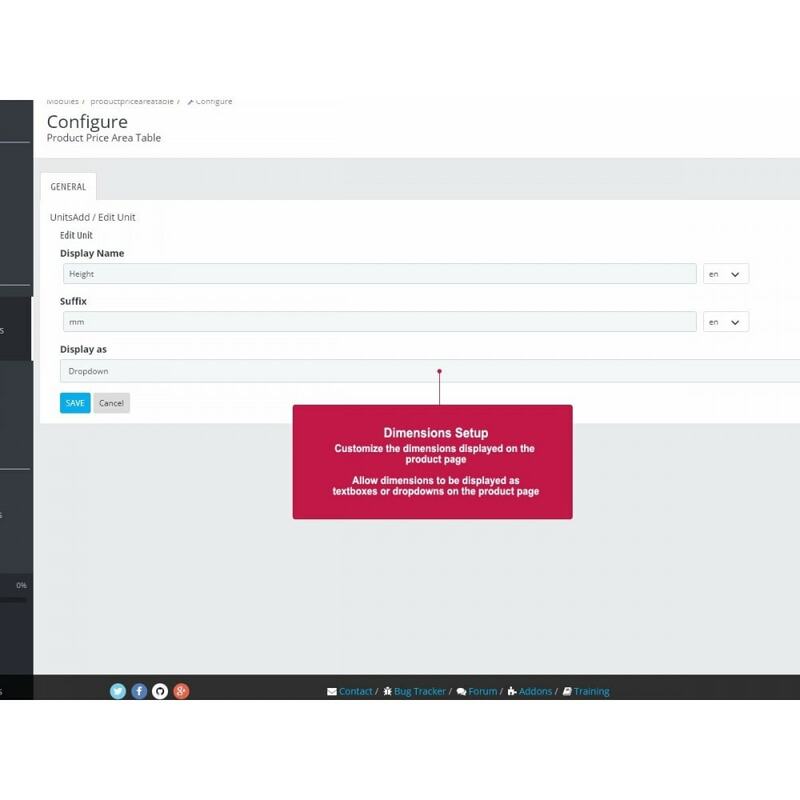 Effortlessly create and manage price tables with a built in mini spreadsheet editor. 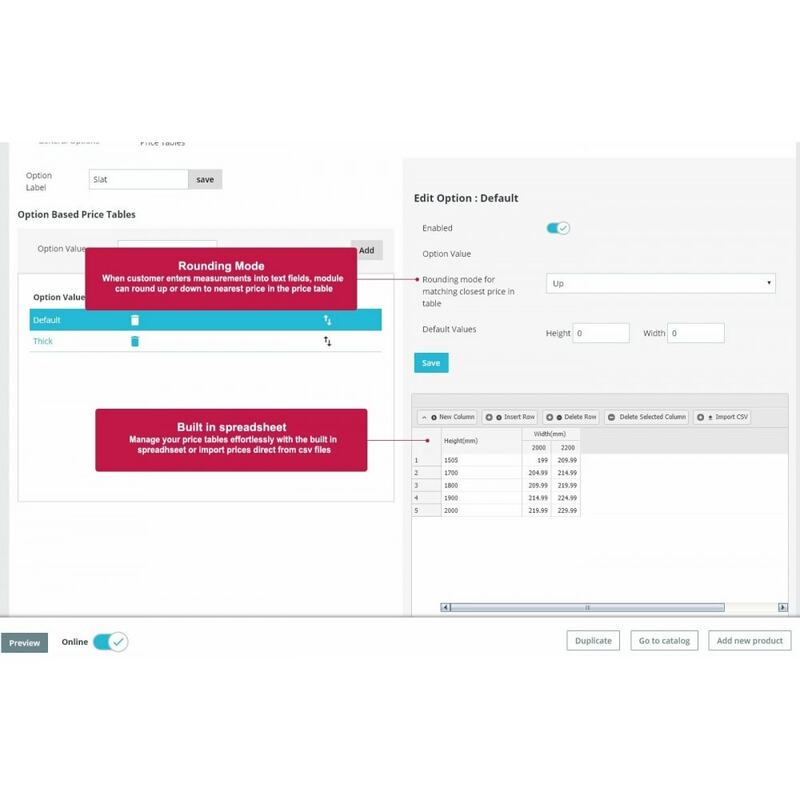 Create multiple price tables for each product and organise them into selectable options for the customer to choose from, thus allowing you to create a more flexible price matrix for your products. 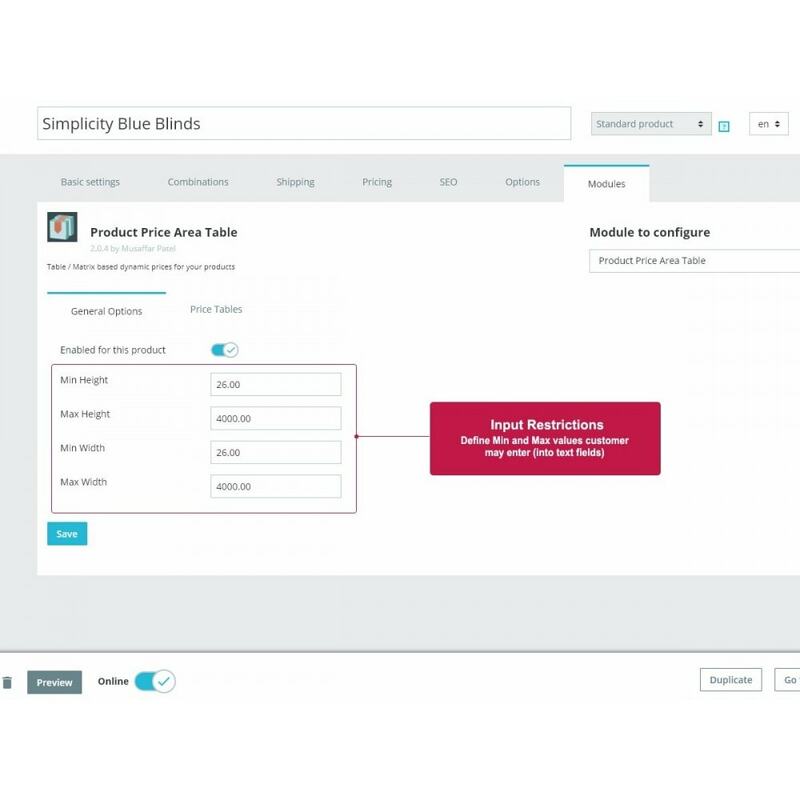 Module works alongside your normal products, only activate the feature for the products you need to sell based on a price matrix. Allow customers to choose select or eter dimensions for a product on the product page directly. 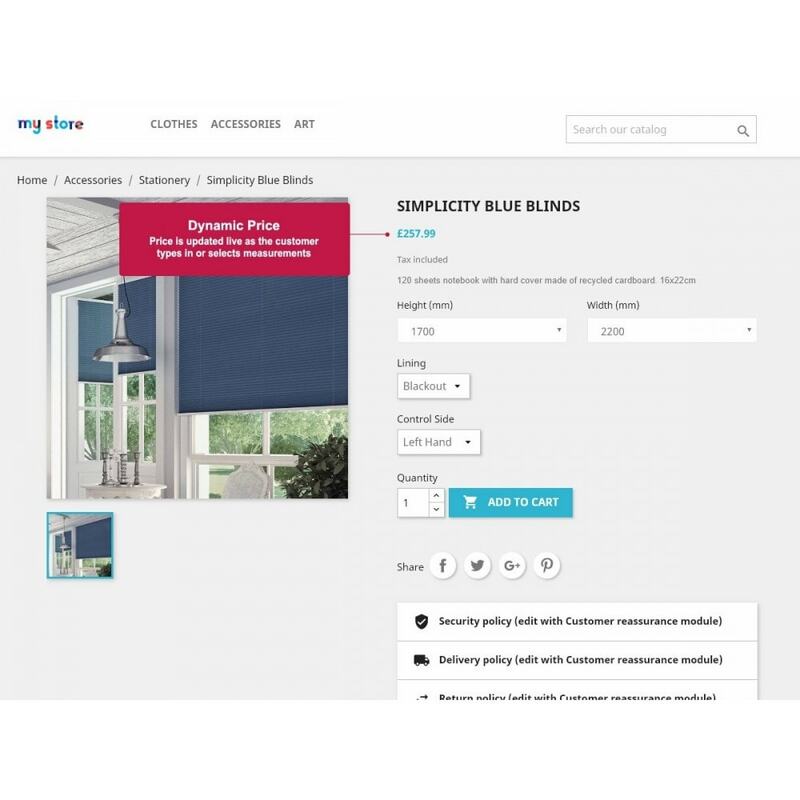 Customer can immediately see the cost when they select or enter dimensions for their products, the price displayed on the product page is automatically updated as they enter or select dimensions. 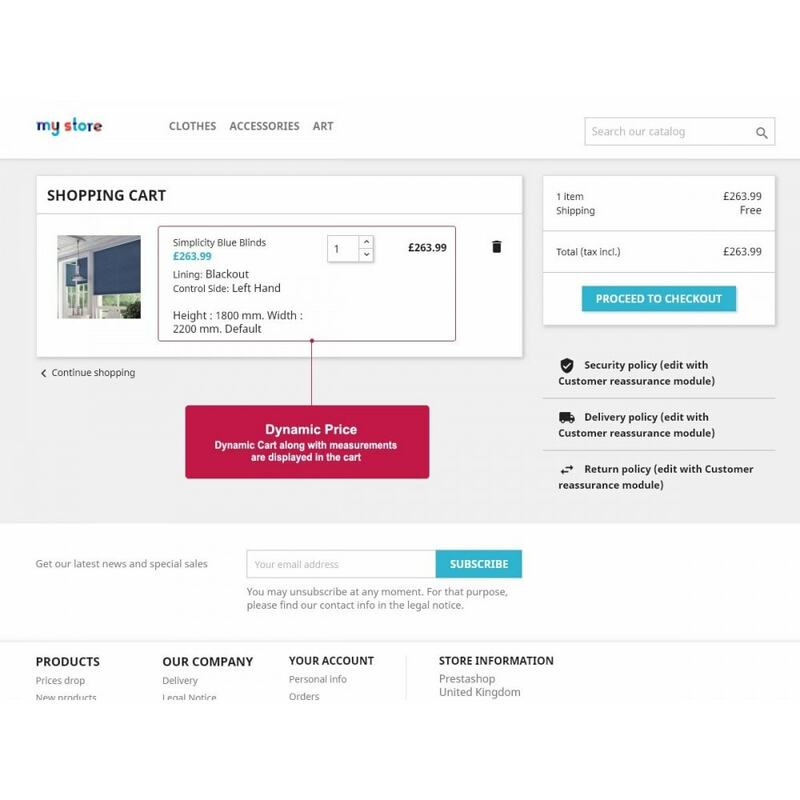 The module works intuitively with Prestashop's product customisation which also allows customers to add multiple customised sized products to the basket or even the same product in different sizes while listing them individually in the cart to avoid any confusion about what the customer is ordering.